Hello, hello! 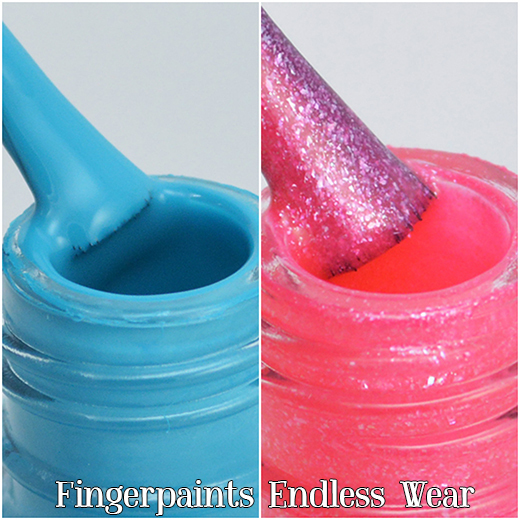 I have 2 polishes from Fingerpaints new Endless Wear collection to show you today. From Sally Beauty: "FingerPaints Endless Wear Long Wear Color is a revolutionary, salon-quality system consists of a Base & Color IN ONE and a state-of-the-art Top Coat. The lasting color is formulated with revolutionary micro-polymers that bond with the Top Coat's photo-initiating polymers. The 2 formulas instantly intermingle and connect to create a strong, tough color film, that actually strengthens over time." 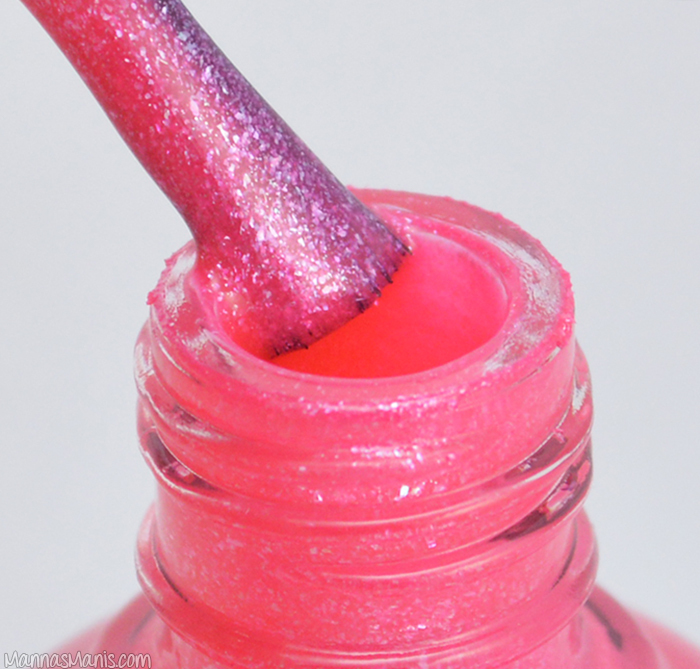 I louvre You has a jelly like formula with pink shimmer and flakes. It's thick, so you may find it hard to work with. This is 3 coats. 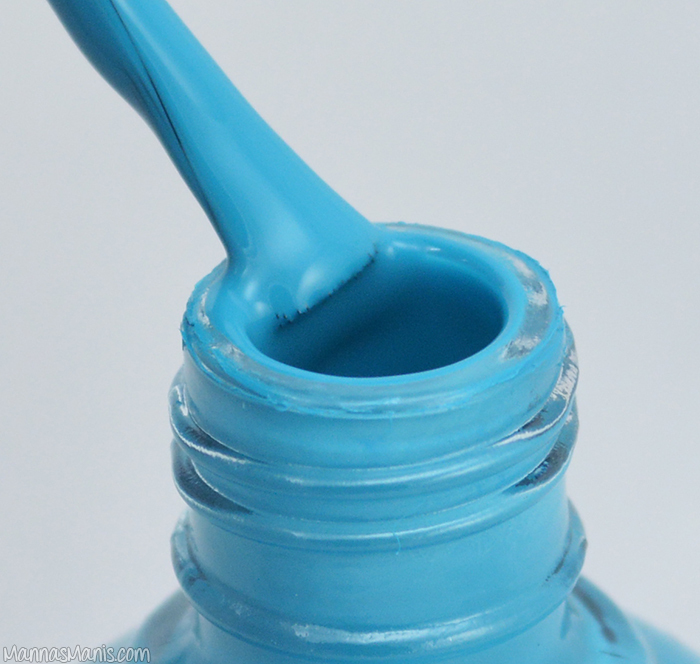 Be Still My Beatnik He-art is a teal-bluish creme. Formula is a little thick on this one as well, but otherwise I had no issues with application. It does stain though, as you will probably be able to tell from my pics :( This is 2 coats. You can pick these up at Sally Beauty Supply for $7.49 each. Have you tried anything from the Endless Wear line?